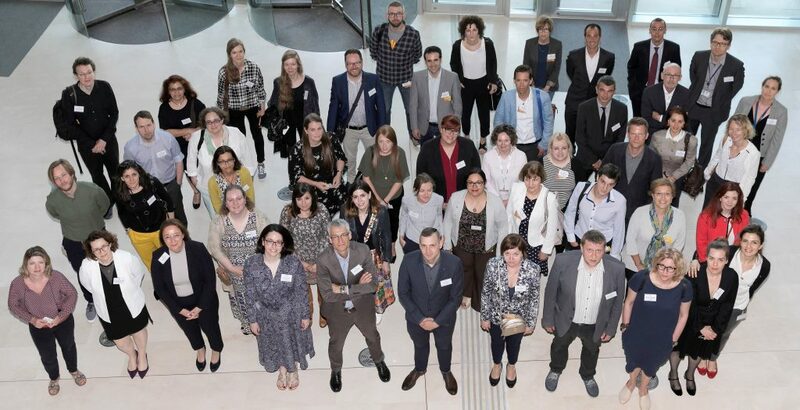 The results of the European project EnDOW: Enhancing access to 20thCentury cultural heritage through Distributed Orphan Works clearance were presented at the European Union Intellectual Property Office (EUIPO) in Alicante on 15th May 2018. The EnDOW project – funded under Heritage Plus – has now come to an end after three years of successful research cooperation among four leading European research centres: CIPPM, Bournemouth University (Project Leader); CREATe, University of Glasgow; IViR, University of Amsterdam; and ASK, Bocconi University, Milan. The EnDOW Final Conference was opened by Paul Meier – Director of the Observatory, EUIPO – who recognised that legal and technical challenges around the diligent search requirement exist, and make the requirement ‘unsuitable for its intended purpose’. This was also one of the main outcomes of the EnDOW project, which found that ‘the effectiveness of the Directive in fostering harmonisation within the internal market and mass-digitisation processes is rather limited by, primarily, the unsustainability of the Diligent Search’ (see Report 2: Requirements for Diligent Search in 20 European Countries). Victoria Stobo (CREATe, University of Glasgow / University of Liverpool) and Kris Erickson (Leeds University / CREATe, University of Glasgow) presented Report 3: Current Best Practices among Cultural Heritage Institutions when Dealing with Copyright Orphan Works and Analysis of Crowdsourcing Option. Victoria explained how the study aimed to establish the current state of best practices among CHIs when dealing with in-copyright orphan works in three countries: the UK, the Netherlands and Italy. Challenges related to establishing best practices across different institutions include the specificity of collections and archival methods as well as the ambiguity in the wording of national implementations of the Directive. Kris analysed the challenges and opportunities of crowdsourcing, particularly in relation to how it can be applied to the diligent search requirement. The possibility of engaging the crowd to conduct diligent searches is hindered by the complexity of rights research and that of the interplay between the institution, the external searcher, the information made available to start the search, and the information gathered during the search. Maria Lillà Montagnani (Bocconi University) presented Report 2: Requirements for Diligent Search in 20 European Countries, focusing on the lists of ‘appropriate sources’ implemented by the 20 countries. The study shows that none of the examined countries issued an exhaustive list of sources: the majority of countries adopt illustrative lists, i.e. : ‘open-ended’ tools that may require that sources beyond those listed are consulted. As the search burden is largely determined by the number of sources to be accessed, Member States should consider the definition of internal hierarchies among the listed sources, with a diversification between compulsory and optional sources, depending on their relevance and accessibility. Ultimately, it is the cultural institution that should decide what sources are ‘appropriate’. The first session ended with a live demo of the EnDOW Diligent Search Tool by Maarten Zeinstra (Kennisland), who explained that the tool includes around 3,000 questions, 569 of which are unique, confirming once again the high burden imposed by the diligent search requirement. The session on the outcomes and impact of the EnDOW project was followed by a roundtable on the orphan works policy in the EU. Responding to the criticisms made to the Orphan Works Directive, Carlos Perez Maestro and Rapolas Lakavičius from the EU Commission argued that the Directive has to be examined as part of a Digital Single Market approach, and that it has succeeded in fostering harmonisation among Member States. The EU concept is sound; the problems lie in the national implementation of the scheme. According to Carlos and Rapolas, legislative amendments are not the solution: the process can be improved through practice and soft guidance. They also explained that they have not yet submitted the report on the application of the Directive (due by 29 October 2015, according to art. 10 of the Directive) because they need to gather more evidence to do so. This was disputed by the following speaker, Mathias Schindler (Assistant to Julia Reda, MEP), who argued that the Commission should have at least reported that there is nothing to report, recognising the limited use of the orphan works exception across the EU. Mathias complained that the EU legislator has ignored most of the arguments and suggestions made by organisations such as Europeana and Wikimedia during the lawmaking process. In particular, he criticised the restricted applicability of the orphan works scheme to CHIs only: if members of the public could also benefit from the scheme, they may be more motivated to contribute to crowd-sourced diligent searches. According to Mathias, the Directive should be recast to streamline the diligent search requirement, increase the benefits, and balance more the interests of the public against those of ‘unknown rightsholders’. Paul Keller (Kennisland / Europeana) noted that the Diligent Search Tool did not achieve its objectives because it was developed within a legislative framework that does not work. The solution to the orphan works problem should be much simpler and addressed as part of the larger issue of out-of-commerce works. Publishers selling books and CHIs making out-of-commerce and orphan works available to the public are not in competition, they can have a mutually beneficial relationship. In Paul’s view, the most effective solution to make out-of-commerce and orphan works available while allowing rightsholders to exploit their assets would be an Extended Collective Licensing scheme combined with a fallback exception and a strong opt out system. In drawing the conclusions of the day, Maurizio Borghi agreed that the orphan works problem should be removed from the traditional debate between rightsholders and users: it is a different game, in which it is easier to satisfy the interests of all parties. 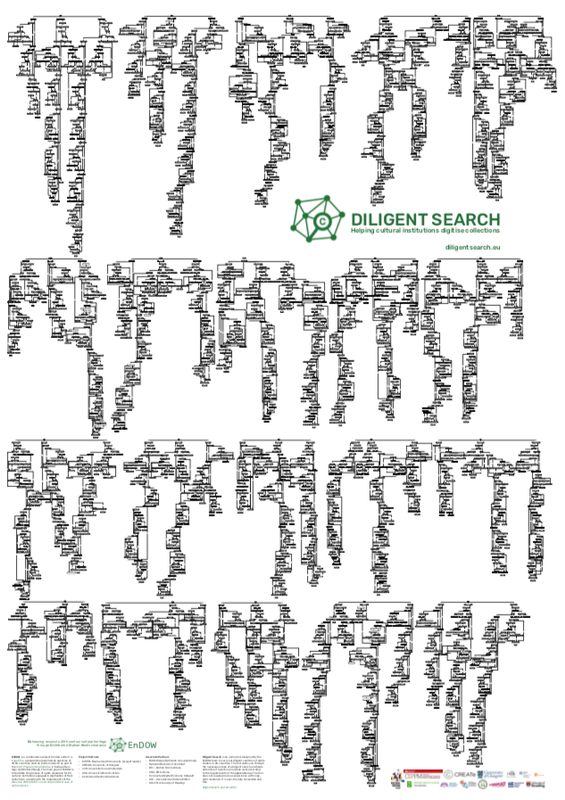 The diligent search requirement might not stay forever but it is not likely to disappear any time soon either, so the challenge is to make it as streamlined, smooth and efficient as possible. Ronan Deazley highlighted the importance of trusting our memory institutions: we already trust them to hold unique documents and records, including authoritative and trustworthy information about decisions taken by government and other public bodies. We should trust memory institutions also to determine what sources are ‘appropriate’ for a diligent search. Maurizio added that an element of trust is already embedded in the legislation, as the Directive provides that the beneficiary organisations ‘shall ensure that a diligent search is carried out in good faith’ (Art. 3 of the Directive).